Move over Rachel Ray! 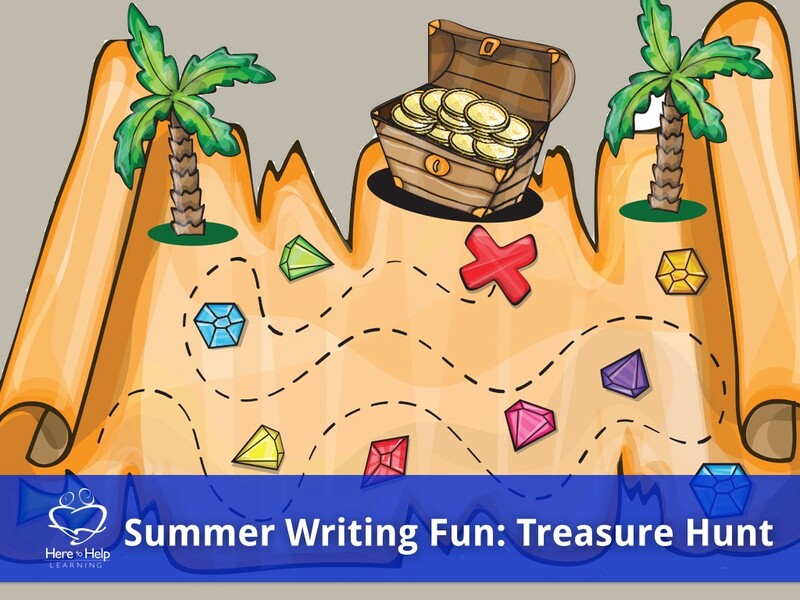 More Summer Writing and Last Convention! 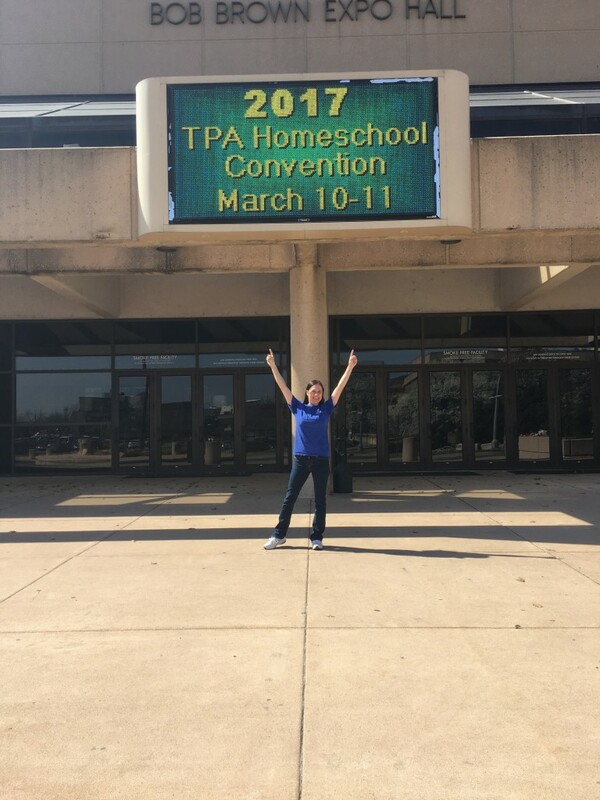 This weekend marks the last conference of the homeschool convention season. My heart is full. As I was driving down the coast for the third time in two months, I reflected on God’s plan for me. 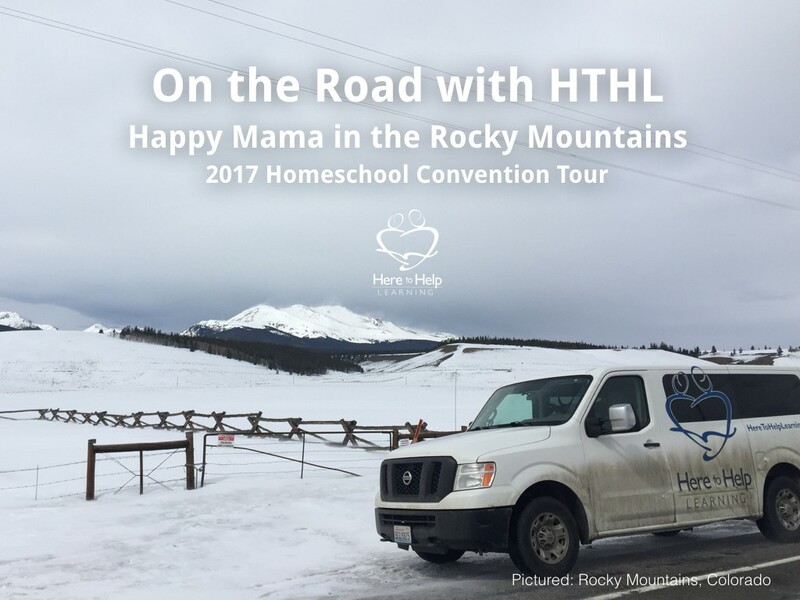 Most of you know, through a series of events Forrest, my hubby couldn’t come with me on the 2017 HTHL Tour. Not having my rock of a husband next to me left me feeling vulnerable. The thought of thirteen conventions and 15,000 miles of open highway terrified me without my man. I said yes to God’s unusual plan, and then the lessons began. I learned a lot about fear. I learned a lot about how fear holds me back. I learned that trusting God means doing things that just don’t feel pleasant or comfortable. I learned how little faith I actually possess. I learned I have a long way to go to maturity in Christ. I paid attention to God’s voice more. I cried more…a lot more. I never wanted to give up more than this year. But I never felt more fully alive. I learned that my confidence is in Christ alone. 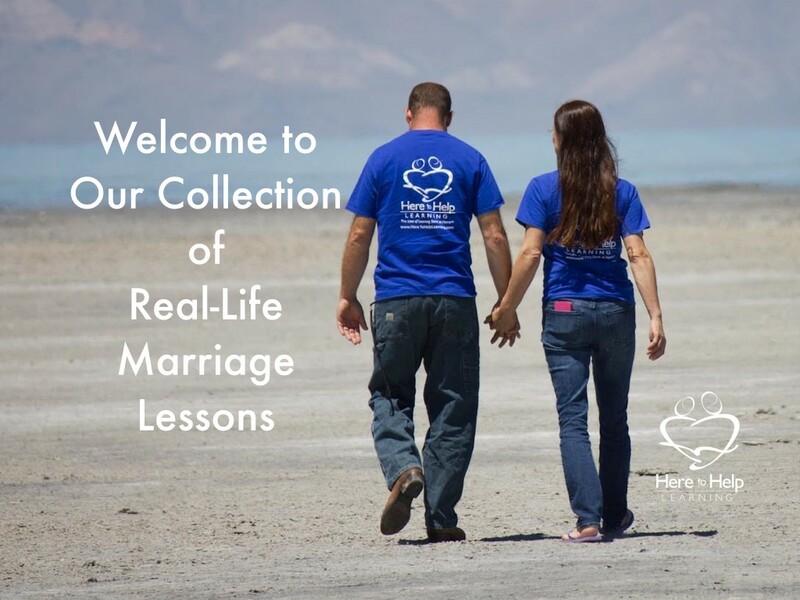 My husband is still a rock in my life, and there were countless times on the journey that he talked me down from the heights of emotional towers and prayed with me when helpless spaces needed Divine intervention. I love him more today than at the beginning of my journey. For both of us, the vision for Here to Help Learning has enlarged like the ever-widening rays of sun on the horizon of a new morning. We are both grateful. Thursday morning, in the peaceful setting of my friend’s home, I had a lightbulb monument. God is a hands-on teacher. He doesn’t want us to sit at desk for long. He wants us up off our tushies and learn by doing. God’s Holy Word is filled with lots of verbs-action words. This year, I prepare for our family’s last year of homeschooling. BusyGirl, the last of eight kids, will graduate, Rancho Mora School. I will trade in my homeschool mom badge and become a homeschool fan. My prayer is that I pay close attention to God’s verbs. I pray I will get off my tush and act on His Word. I will teach my daughter to do the same. My prayer is for all of us as believers to do the same. 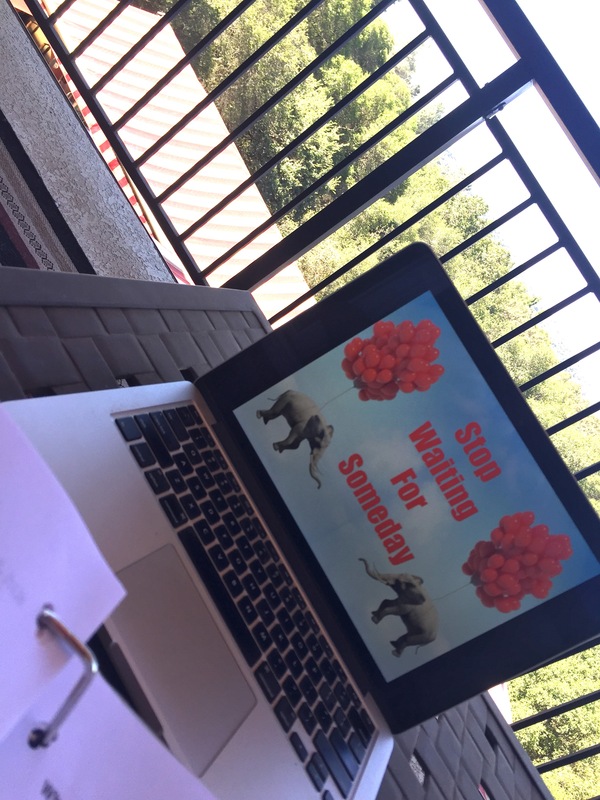 My “lightbulb moment” while preparing for the Dream Bigger workshop! Our family’s motto is “ Never say goodbye, only say, until we eat again!” Let’s face it; food brings people together. And most kids LOVE to be the chef. So move over Rachael Ray! This week, there’s going to be some new cookbook authors on the foodie scene! Choose a theme for your recipe book, such as eggs, pastas, desserts, historical periods, or family recipes. Choose and make a few recipes. Follow HTHL instructions on how to make an essay folder and use it as a booklet for the recipe book. Write (or dictate) the recipe. Add your own chef secrets in the margins. Add photos or hand drawn pictures. One of our kids called their recipe book, Heaven’s Kitchen as opposed to the popular show in cahoots with the devil. I still have the book. 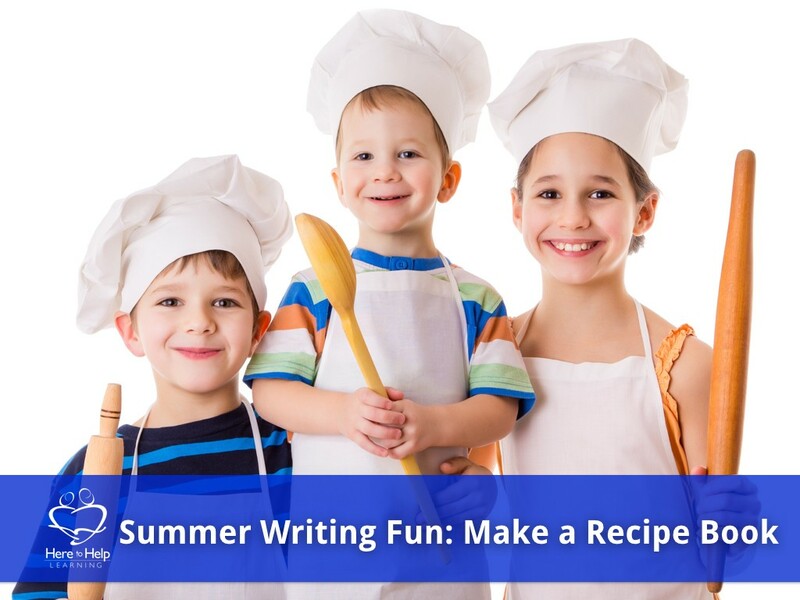 Making recipe books provided our children with hours of summer fun and most importantly, kept them writing! At HTHL, we think your child’s imagination is an asset NOT a liability! 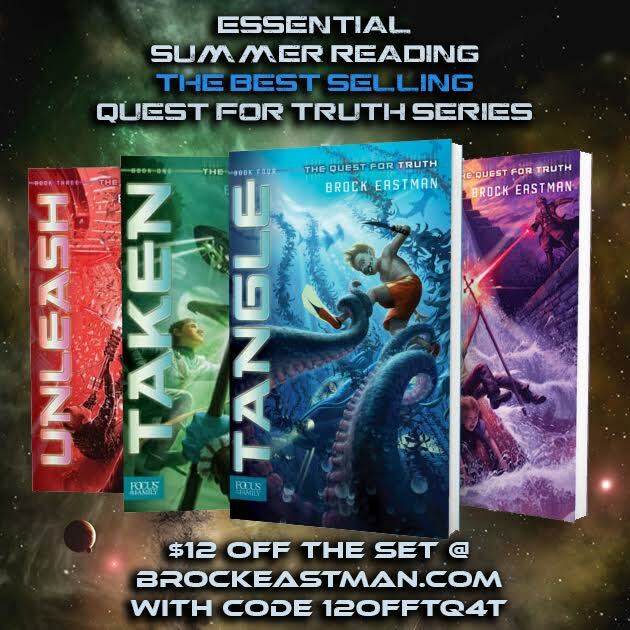 Does Your Child need MORE Summer Reading? Check this Out! Life can change in a moment. 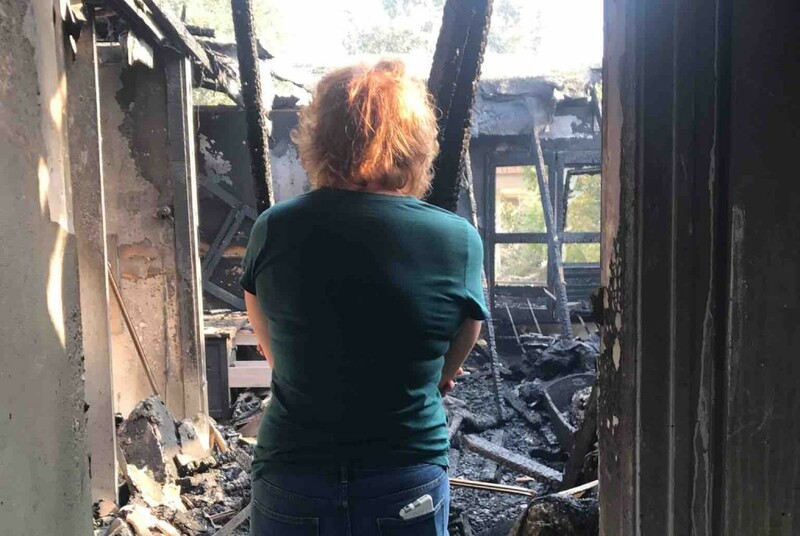 On July 4, 2017, my sister’s condo, the home where I grew up, burned down. Her neighbor’s BBQ propane tank leaked and exploded. In seconds, she and my nephew lost everything. Thankfully, no one was injured. It’s just “stuff”. Yes, lots of stuff was lost. Lots of wonderful memories remained. I gazed at the charred room, where my sister, my cousin, and I lived during our high school and college years. Humid smoke and burnt carbon attempted to cloud the memories. Despite the stench, I heard the echoes of laughter from our younger selves. The laughter of three girls, caught between childhood and womanhood, filled the room while we danced in our PJs late into the night. This moment from long ago, wasn’t consumed in the flames. When things go up in smoke, you realize what is important. 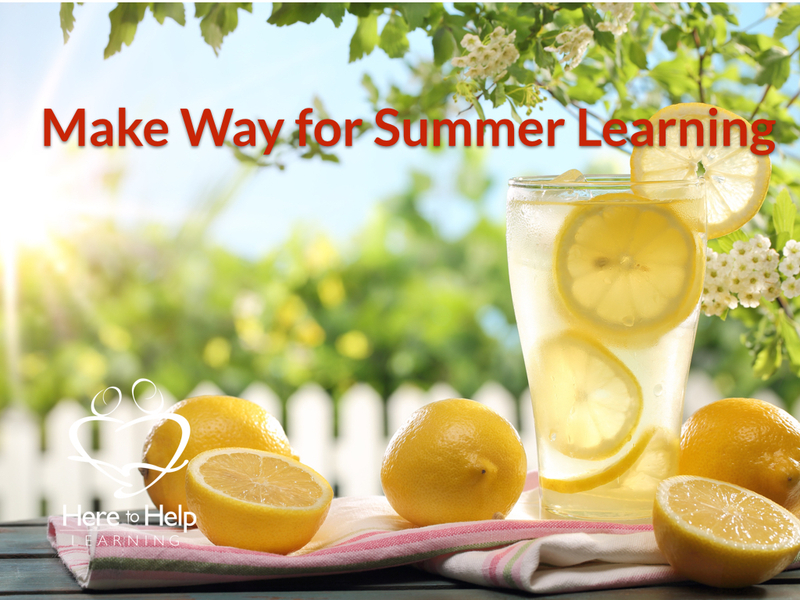 I know many of us are busy planning for next year’s homeschool year. You might be fretting about your curriculum choices or worrying if you are doing enough to serve your family. I can’t help but reflect on how easily I replace tasks, like homeschool planning, for time with the ones I love. My children don’t remember my curriculum choices. They really don’t. They remember the book I read to them on the couch. They remember the afternoon that we all cooked together. They remember the field trips and hands-on projects. They remember the time we spent playing together and talking together. They remember the hike through the trees and around the lake. They remember the time we spent with each other. No one remembers page 82 of any workbook or any textbook. Yes, we have to plan for the next homeschool year, but we need to remember to see through the smoke of our tasks and worry. What remains are the memories we make along the way. On July 4, my sister’s condo burned down. 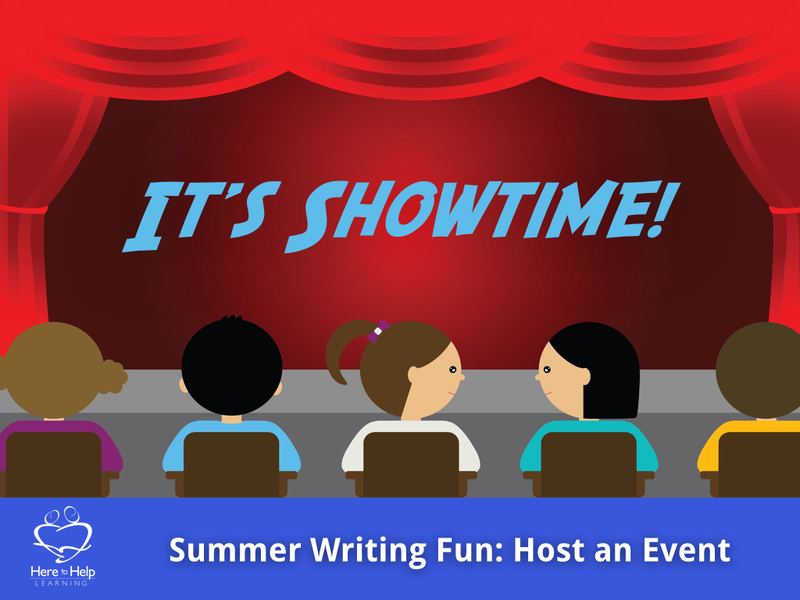 Hosting an event is a great way to help your child practice writing skills during the summer. It can be any type of event! The ideas are only limited by your child’s imagination. Each idea takes planning and WRITING! Here are just a few writing skills your child will pick up in the name of “fun”! You might want to encourage your child/children to film the event and share it with friends. Yes, your home may be a little chaotic as your living room may be turned into a wedding hall. (True story: My living room was decorated with white paper chains for a week before the actual “Teddy Bear Wedding” took place.) But it was worth the memories and the hours they spent writing and planning. Publishing Opportunities! Calling ALL Young Authors! Only a few more days left in May? 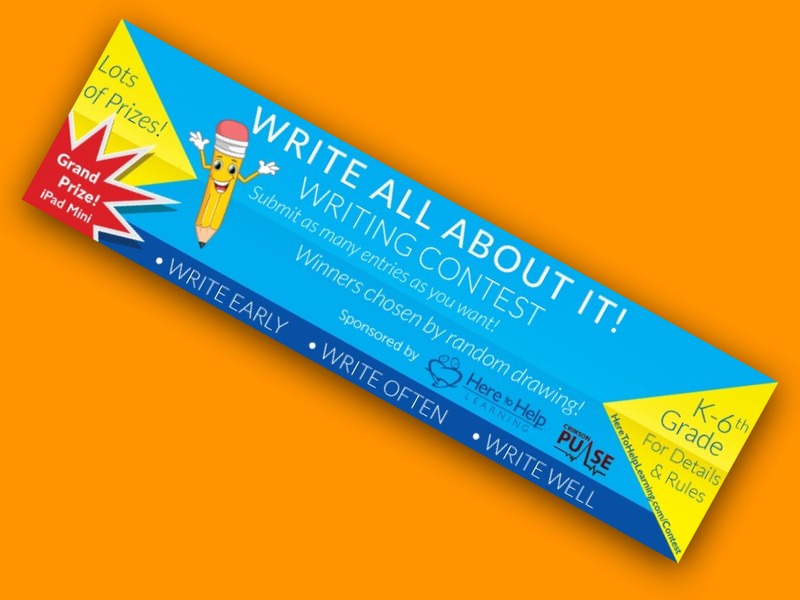 Did you enter our writing contest? Publishing Opportunity-Calling ALL YOUNG AUTHORS! Last week, we talked about the power of publishing! Now I want to share with you an opportunity I don’t want any young author to miss! 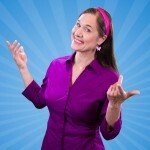 Brock Eastman, Focus on the Family author of the coolest series of books, and I, Beth Mora, Here to Help Learning’s teacher-with-the-right-brain has teamed up to bring you an opportunity for your child to be a published author. 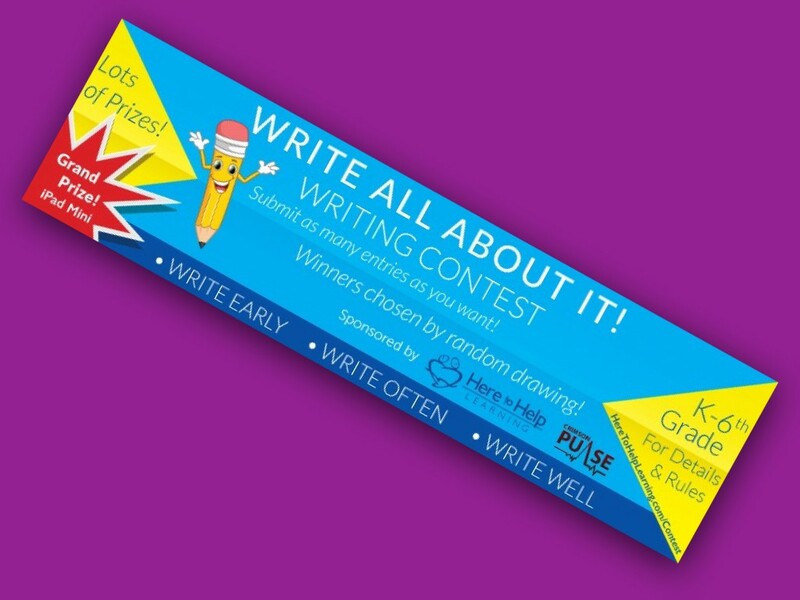 We are collecting stories from students K-sixth grade for a Young Writer’s Anthology! 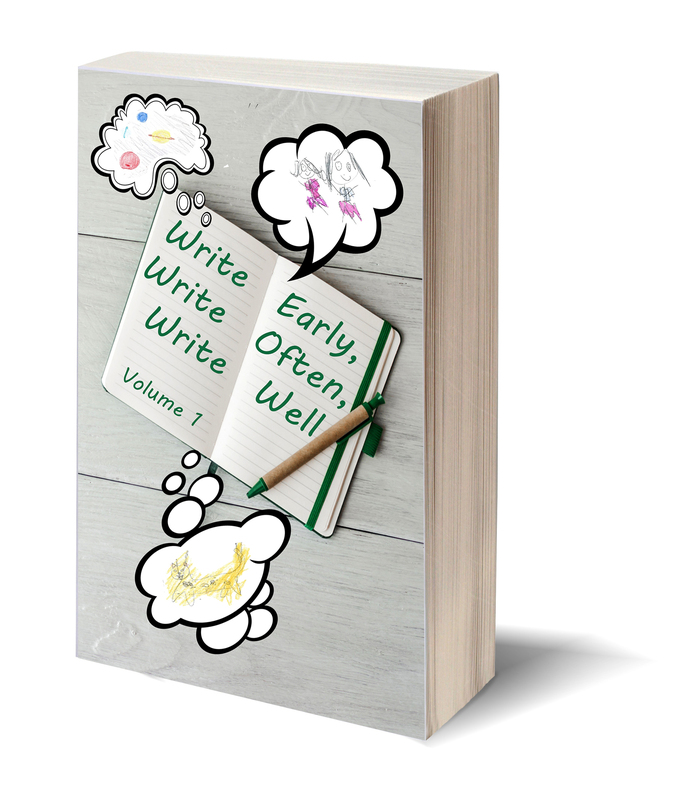 The anthology will be published at the end of the year and available for purchase just before Mother’s Day. ALL PROFITS GO TO SUPPORT Compassion International. 2. Design a cover for your project. You may use Here to Help Learning cover templates or you may design your own. No clip art or photos accepted. Put your first name only (NO LAST NAMES) on your picture. 3. Enter your writing project. 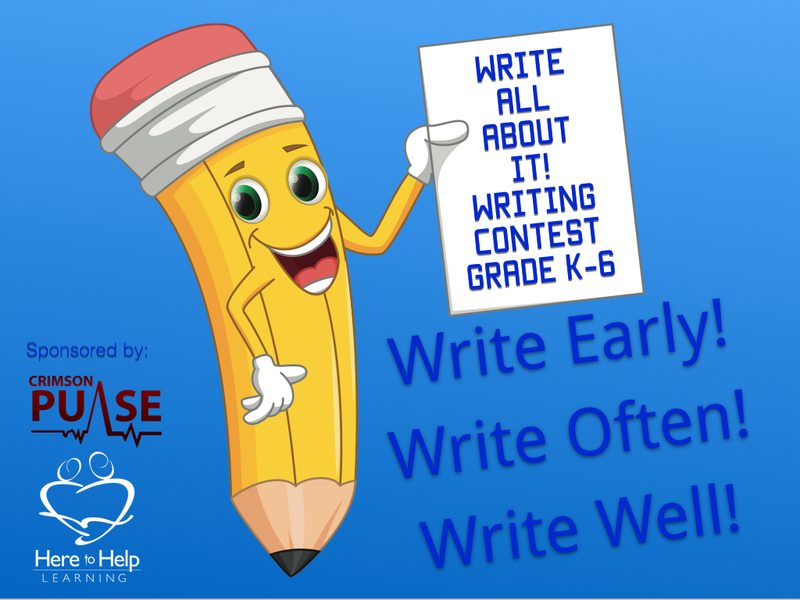 All entries to the Write Early Write Often Write Well writing contest will be considered. Entries that don’t follow the rules will not accepted. 4. Be proud! Each time you travel through the writing process you will grow as a writer, and you will help kids around the world! 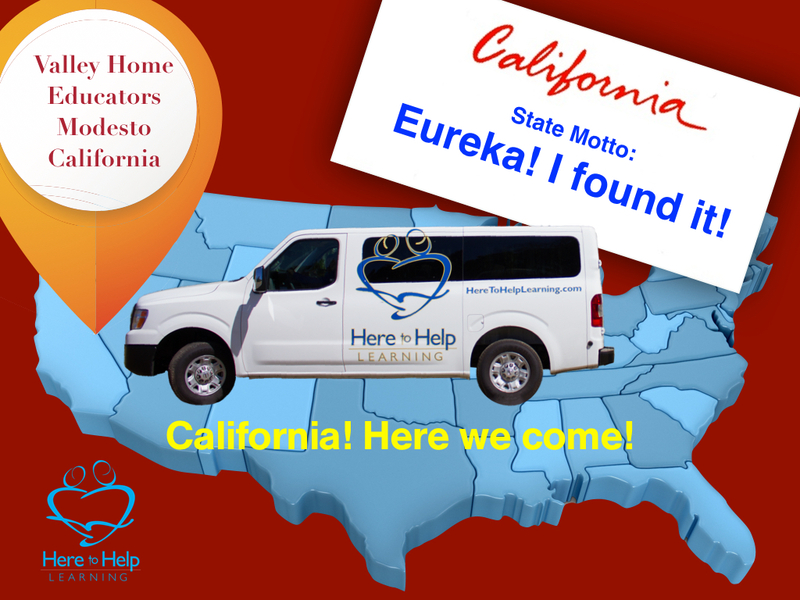 Status: Arrived safely home after nine weeks of travel and 12,000+ miles in the HTHL van. 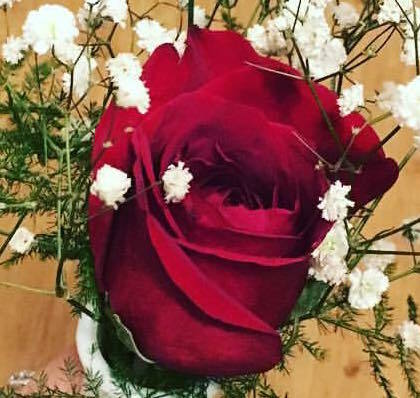 My dear husband greeted me and BusyGirl with roses, hugs, and kisses. Thank you all for your prayers and encouragement. I am so grateful Forrest will accompany me to the INCH Convention in Lansing Michigan in two weeks! 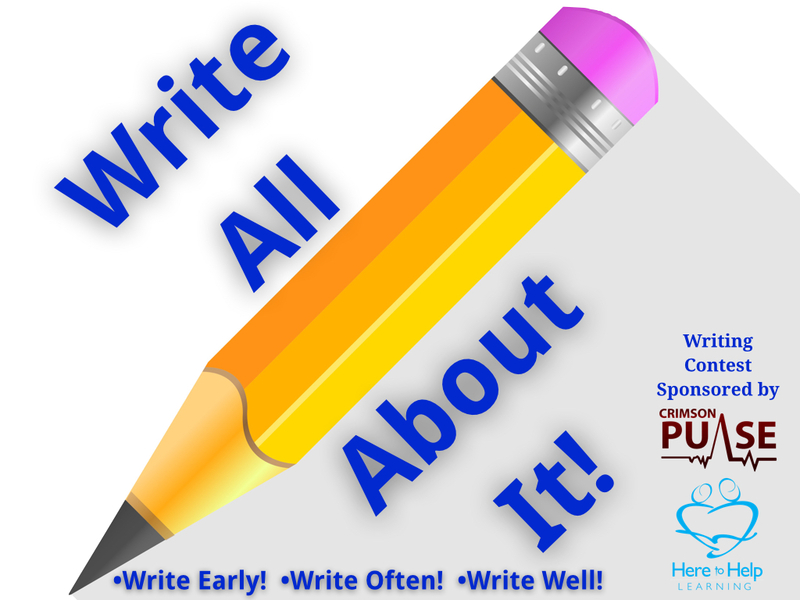 Did you enter the “Write All About It!” writing contest this month? Mentorship is vital to the success of a young writer. Unlike math or reading where it is easy to access if the student is grasping the concepts, writing is more subjective. The English language has over 170,000 words. When these words in the hands of writers are rearranged, ideas, stories, and thoughts are communicated in unique ways. However, with these kinds of variables, the task of teaching writing is not as simple as grading a math paper or checking for reading comprehension. That’s why the fuel for excellent writing instruction comes from the power of your mentorship. What do great mentors do? 1. Be an observer: As your student writes, observe the errors that he/she makes. 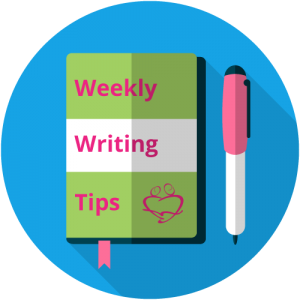 You will notice there will be many aspects that your young writer is not yet proficient. That’s okay. 2. Record what you notice: Write down what you observe. Maybe he is starting every sentence with the word ‘so’, or perhaps she is constantly writing a run-on sentence. Keep a list of the writing errors. 3. Prioritize: Order your list of errors from simple to more complex. 4. Plan: Your student will not be able to focus on more than one or two areas at a time. 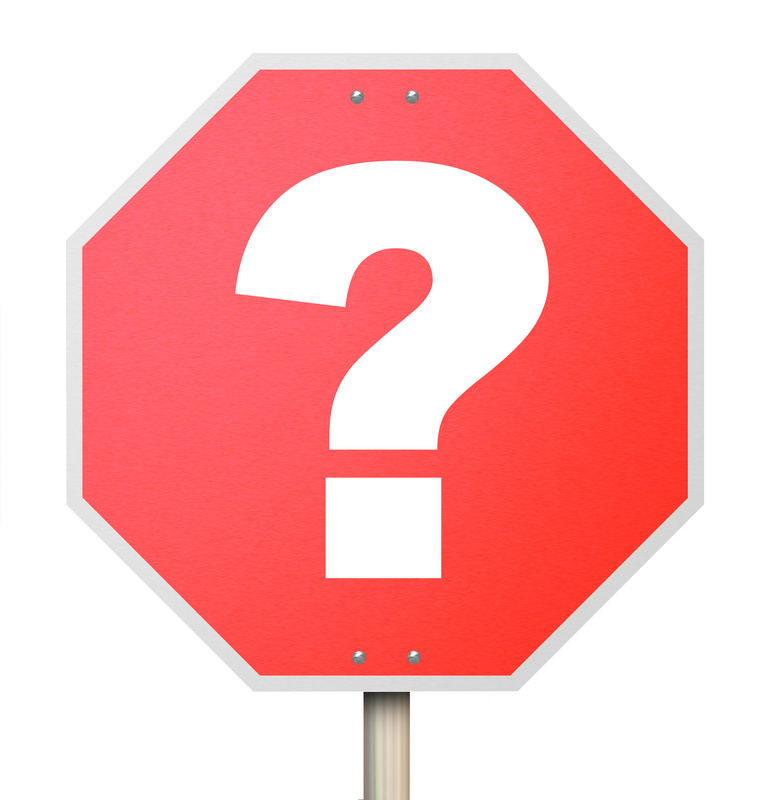 Choose the simplest errors to correct and tackle more complex errors at a later time. Provide time during your child’s Flying Solo time for additional instruction, drill, or discussion. 5. Add Patience: Lots of patience is required to guide your student in all the skills of writing. Mentors patiently coach students with encouragement and careful skill. I am honored to partner with YOU! 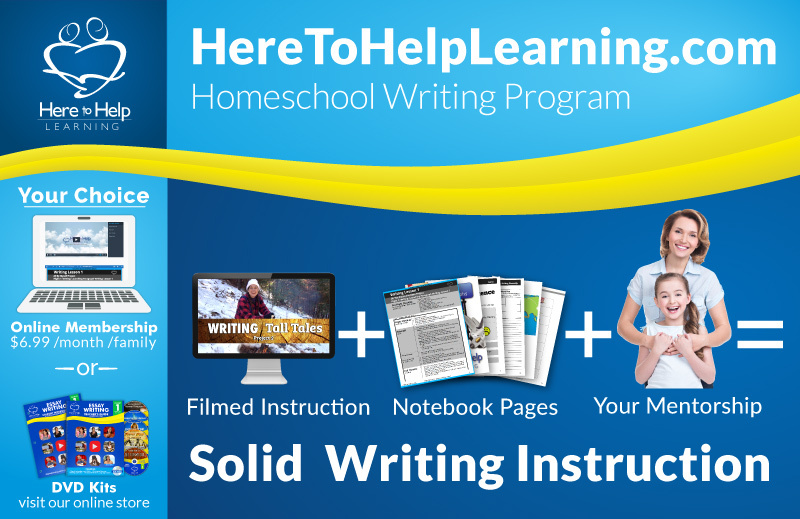 Here to Help Learning provides the bulk of writing instruction in a fun and exciting format, but it is YOU and your mentorship that really makes the difference! Do you have a question about Here to Help Learning? Besides the workshops that I’ve listed below, on Saturday, at 12:45 pm, I have the privilege of serving on the INCH Special Needs Discussion Panel. Bring your lunch and your questions! 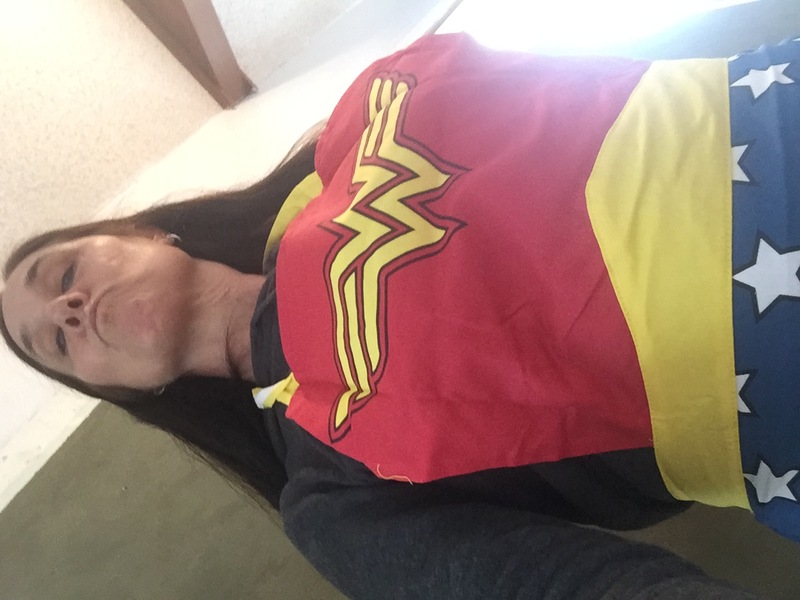 Overcoming Writer’s Block and a Delightful Time! 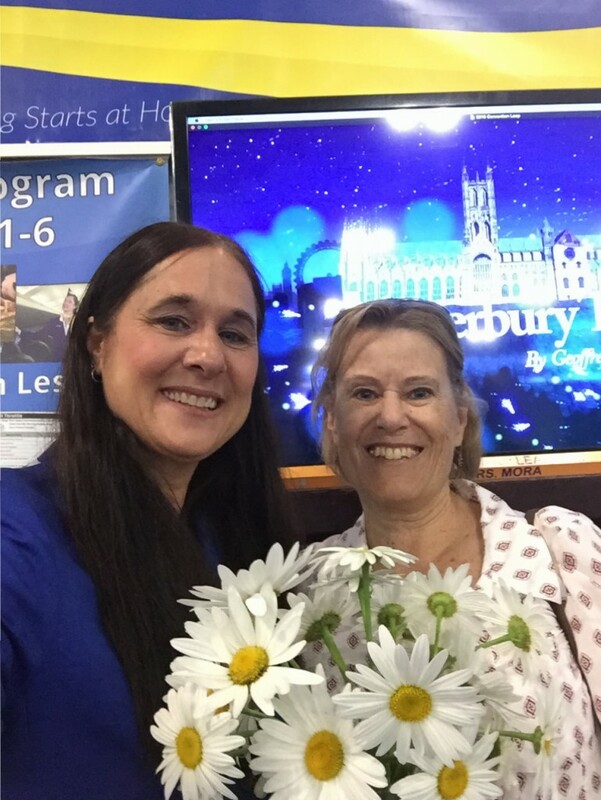 This past Tuesday, I had a delightful time with Michigan homeschool moms at the Homeschool Building Bookstore! I know, I have a weird expression in this pic, but it truly was delightful! 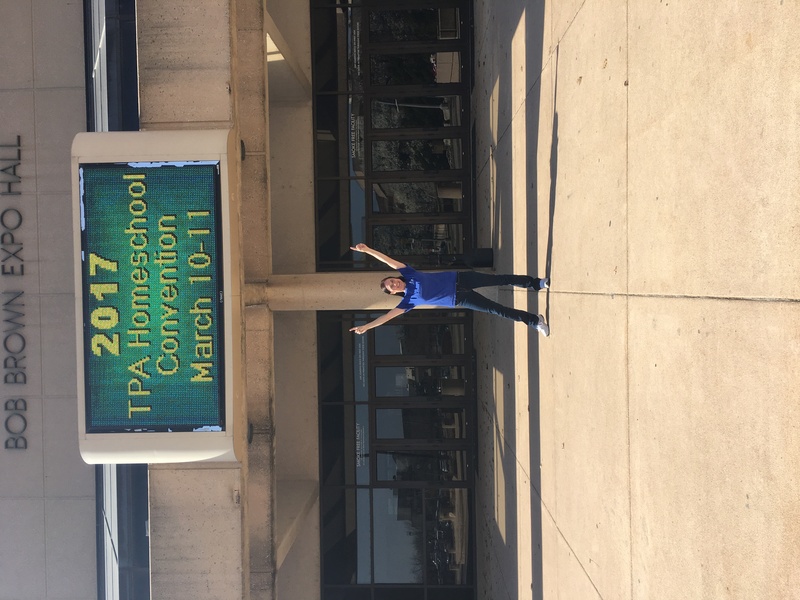 This weekend, I’m at the Great Homeschool Convention in Cincinnati and I’m having a blast! Oh the energy that’s in this place! I’ll post pics next week. Writing is the struggle between mankind and the pencil to find the written words to communicate clearly. The effort often results in a temporary mental block to writing.Writer’s block will never be eliminated from the writer’s experience. Ask any writer. The writer must learn to face it and subdue it. As a home educator, how can you help your child develop effective strategies to overcome it? Normalize it! Recognize it happens to EVERY writer. Help your child see it is a normal part of the writing experience. 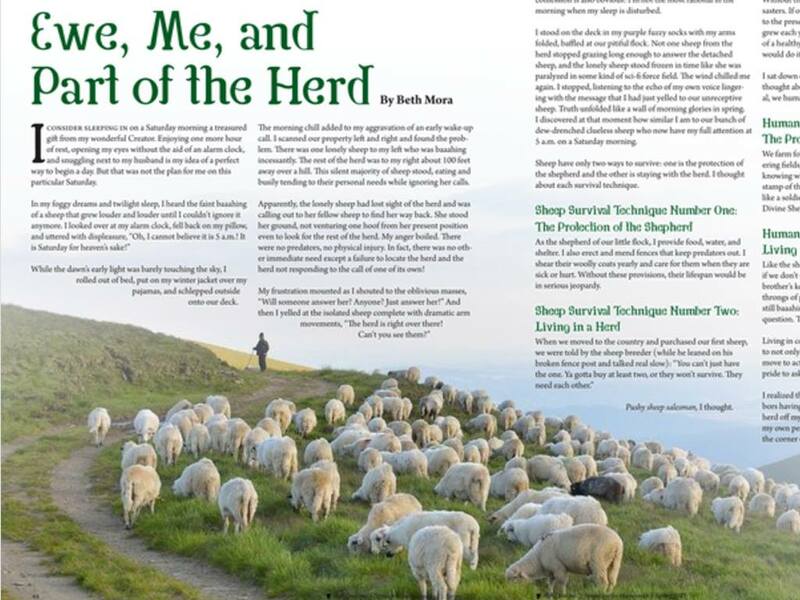 Many times, it is in the struggle of finding the right words that yields an essay worth reading. Plan for it! Since it is a normal part of the writing experience, ask your child, WHEN, not IF, you experience writer’s block, what will you do? What has worked before? Share the road with us! Don’t miss a post at Home to Home. 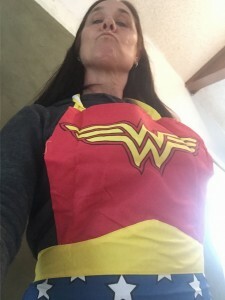 I have the honor of hosting four workshops! I love young authors, and I collect their autographs! Look, my collection is expanding! The science of learning is fascinating. Our brains are designed to learn just like our stomachs are designed to digest foods. Our brain cells are called neurons and the branch-like structures that protrude from the center are called dendrites. Dendrites connect with the next neuron, transmitting information. As we learn, our dendrites grow and become thicker, connecting to more neurons, creating an information highway. It is well documented that certain activities make dendrites grow and when dendrites grow, learning happens. Provide a BIG picture. A big picture makes a connection to value and safety. 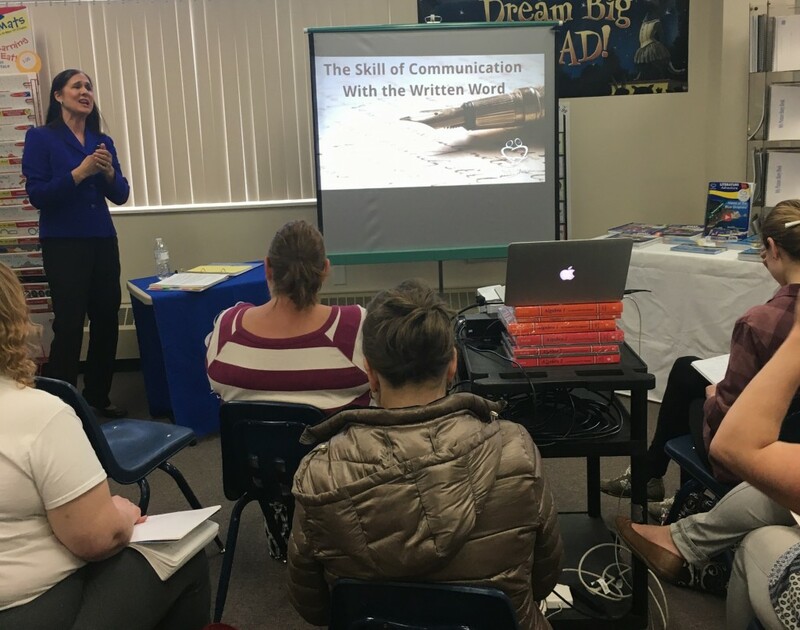 Teaching the entire writing process from the earliest ages builds a predictable framework that is easily understood and puts a student at ease. Without a big picture, the brain responds with the flight or fight response. Model the skill for the student. Behavior is caught quicker than it is taught. 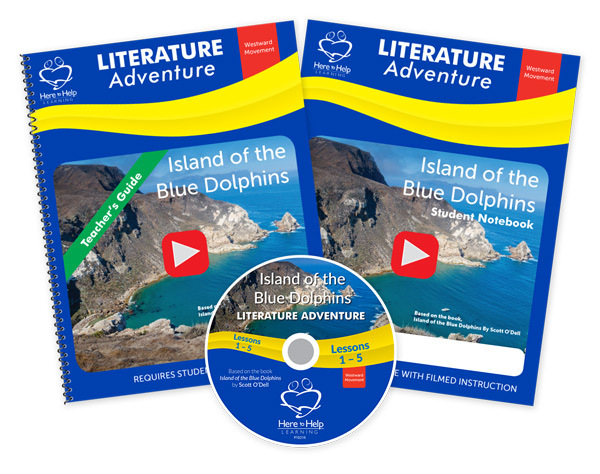 Demonstrating the writing process step-by-step facilitates learning quicker than a lecture. 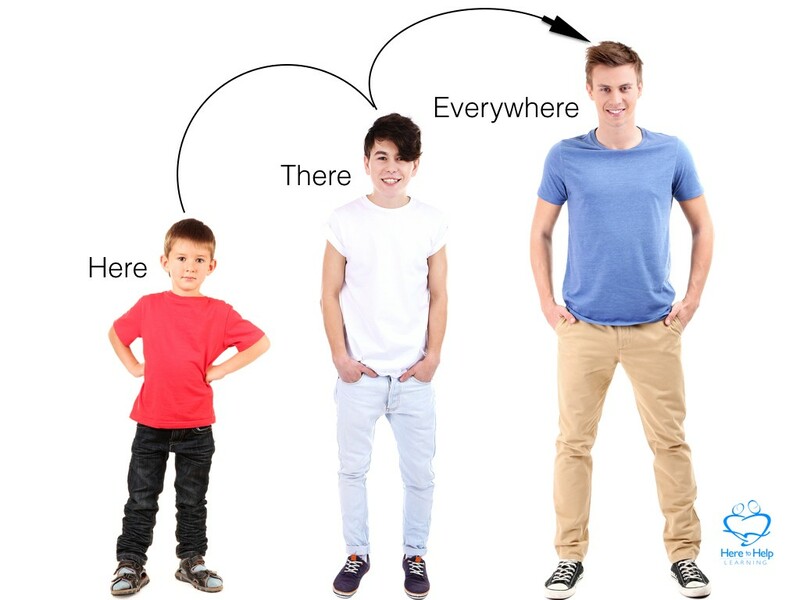 Provide pictures and diagrams. “A picture is worth a thousand words” is a true statement for the brain. The brain needs to see information organized and benefits from diagrams and flowcharts. It needs to see new concepts in picture form. Talk about it. Engaging a student in open-ended questions about their writing makes powerful dendrite connections.“Pause screens” are in every lesson to facilitate dialogue between teacher and student. Practice, practice, practice the skill. 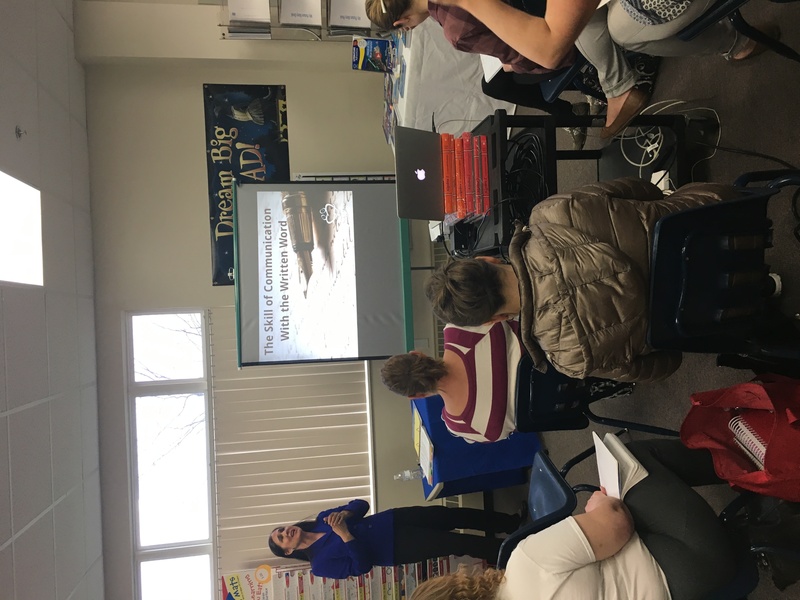 Dendrites grow and connect when the student actively engages in the skill. Repetition of information and repeated practice actually thickens a dendrite. This enables the brain to solidify what has been learned into a well formed habit. Engage all the senses. Drawing pictures and making models facilitate the growth of dendrites. The more centers of the brain that are stimulated, the more your student learns and personally cares about their learning. Endorphins (The feel-good chemicals that your body makes) are actually released when connections in the brain are thickened. God gave us five senses to take in information. Why wouldn’t we use all of them to maximize learning? The test results are in! Under a microscope, scientists can see dendrites grow as a person learns, but home educators get to see the joy of learning on our children’s faces! Greetings from Wichita, Kansas! 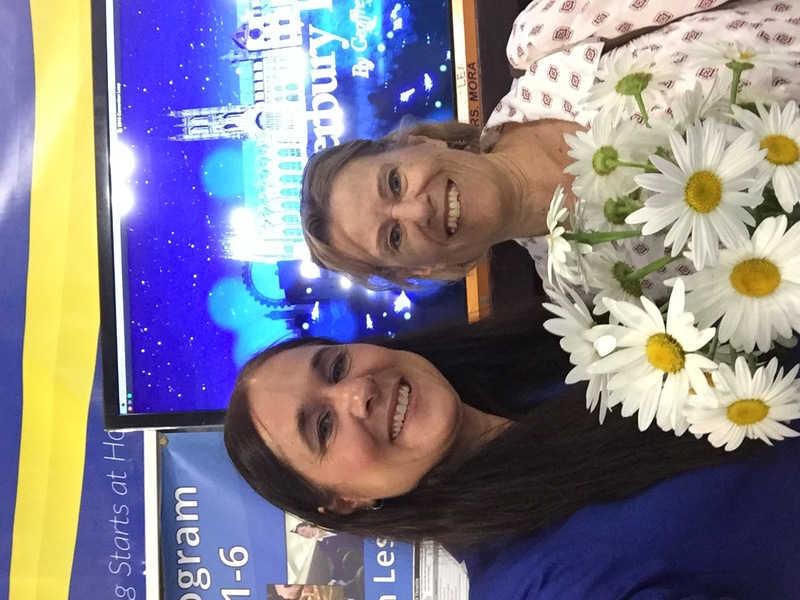 Meet me at booth #93! Don’t miss my new Home to Home post! 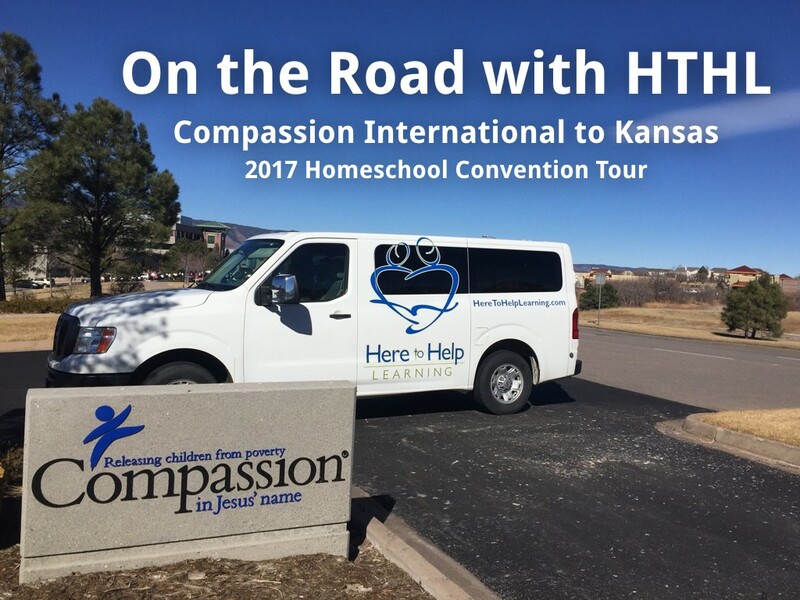 (keep scrolling) There’s lots happening on the 2017 Homeschool Convention Trail! Value the power of play! Why are top companies involving play as a part of work? • A corporation spends time and money on team building exercises involving kayaks and rope courses. • A large firm takes the day off and plays laser tag. • A business dedicates time in a meeting to role-playing a sale. Studies have shown that people who have fun on the job are more creative, more productive, better decision-makers, and get along better with co-workers. It is also noted that humor and laughter reduce stress on the job. If these are the results found in an adult workplace, then we need to incorporate play as a delivery method of education. In addition, play is serious business for a child. Playtime is where children can try on roles and responsibilities. Playtime becomes a safe place to practice and develop skills without fear of failure. Children will take more risks to learn in their playtime than in a formal educational setting. These are just a few of the benefits of play. 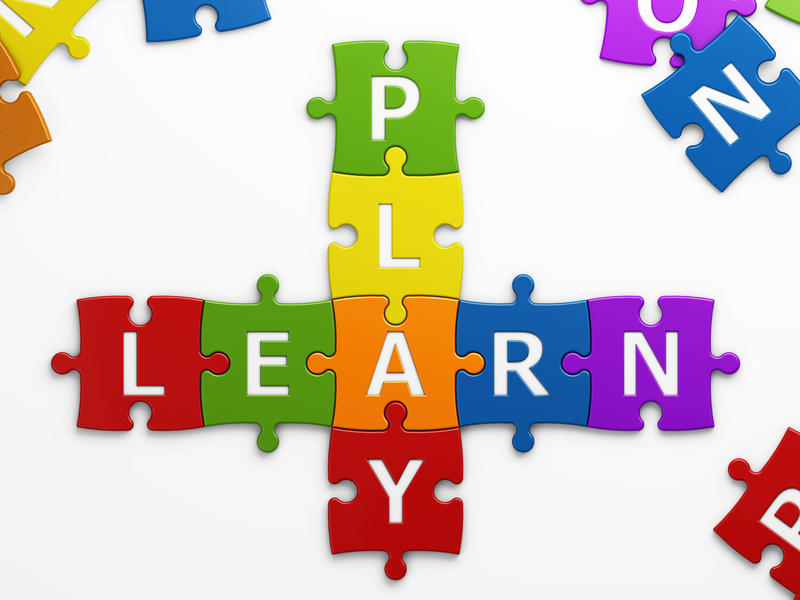 There are numerous studies describing how playtime enhances learning. We can’t neglect the power of play! That’s why Here to Help Learning’s Writing Program integrates the power of play into all the lessons! Play along with your child! Laugh and build fond homeschool memories together. 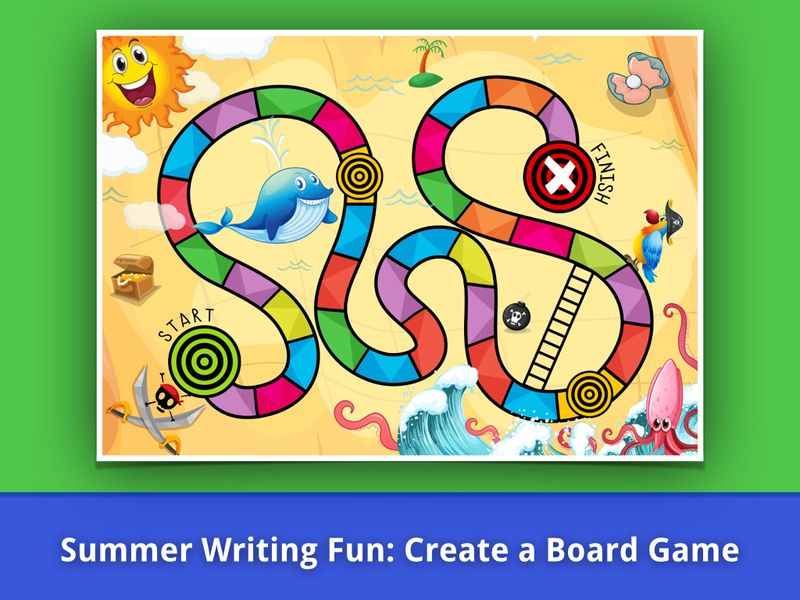 The power of play will help your young writer become a better writer! NEW POST!!! This week, take a ride with BusyGirl and me and sample the breathtaking Colorado views! BusyGirl and I break for museums and new foods! 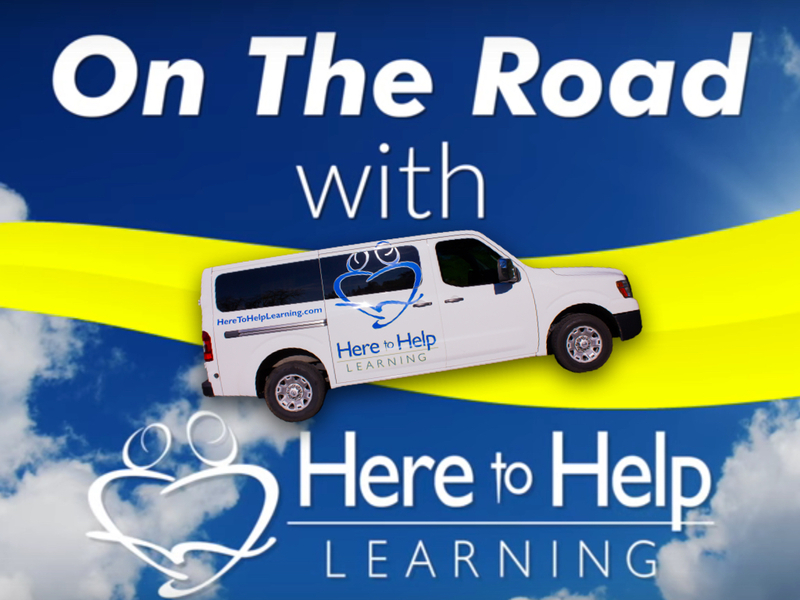 Click HERE to share the road with us! Which or That? 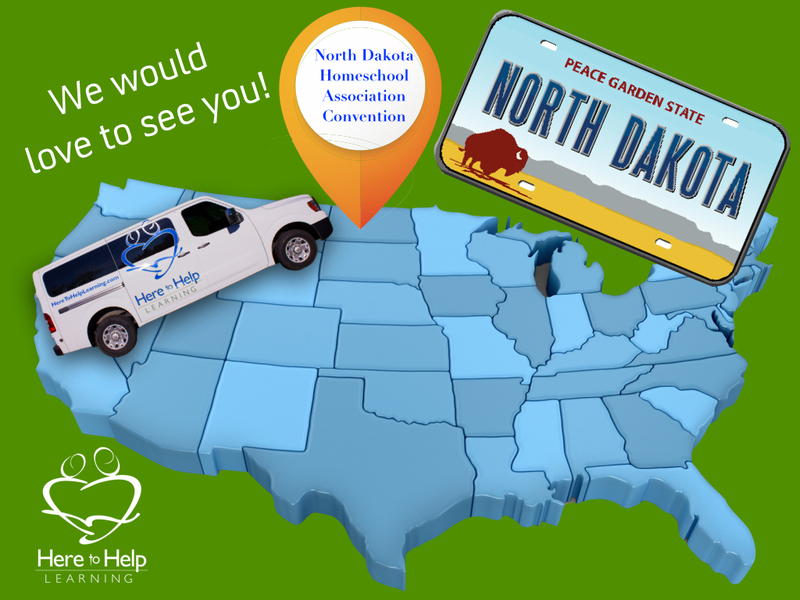 And North Dakota-Here we come! 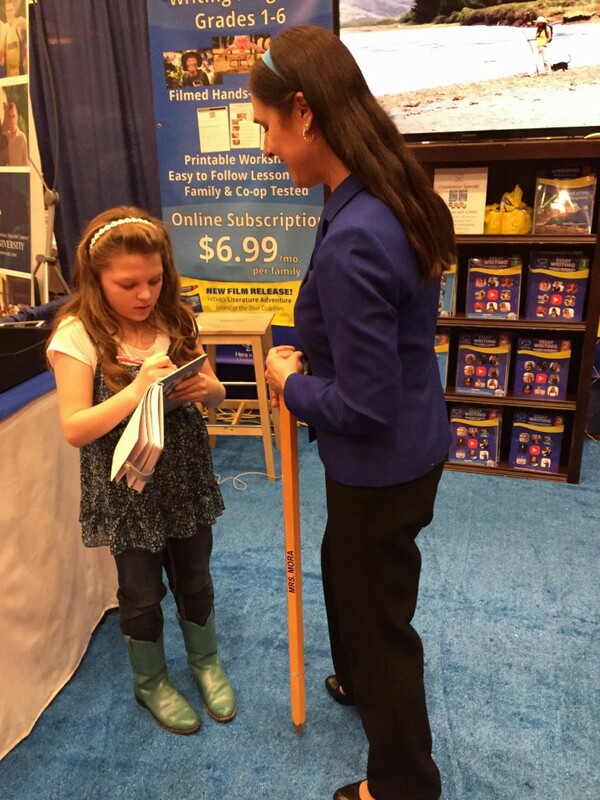 My bags are packed, and I am headed to the North Dakota Homeschool Convention. I’m super excited about the workshops I get to teach. I hope to see you there! Please pray for our safety while we are on the road! 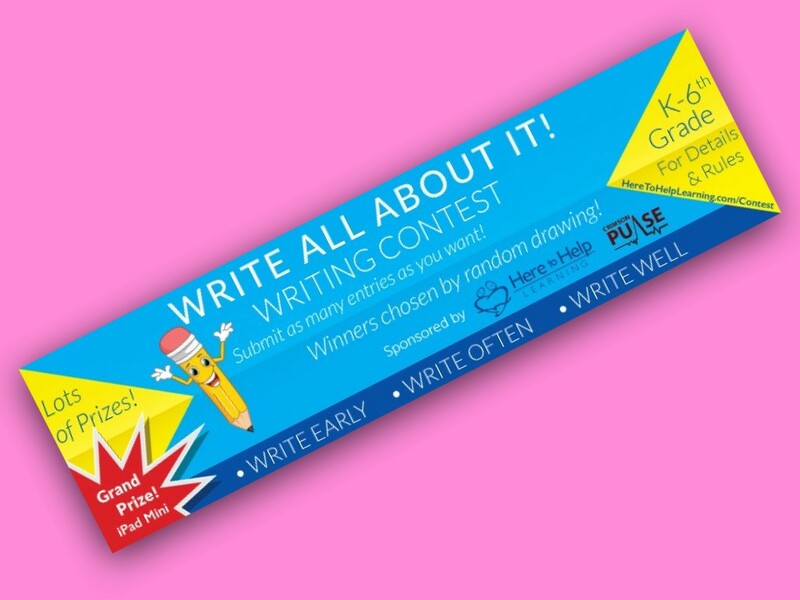 Write All About It Writing Contest! 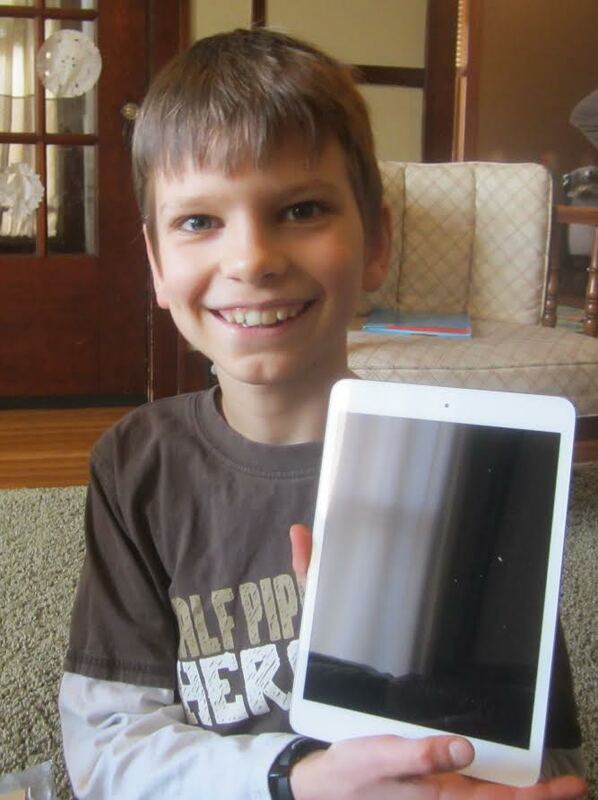 The iPad mini is in Jackson’s hands! He looks pretty happy, doesn’t he? The 2017 Wring Contest has begun! Can’t win if you don’t enter! Just ask Jackson. 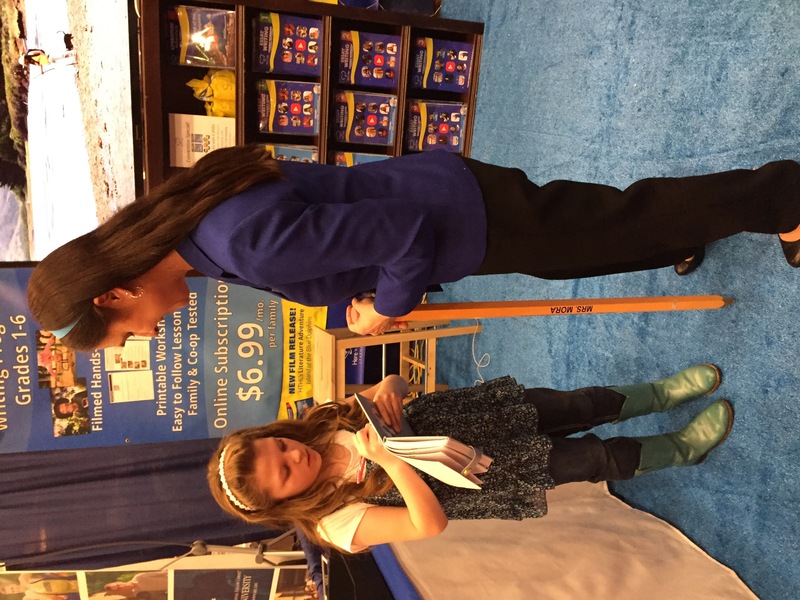 BTW-Sarah H. (Fifth-Sixth Grade) from Johnstown, Pennsylvania was our January Winner! Congratulations Sarah H. ! Love is grammar and punctuation. Really? I was hoping for flowers and chocolate. Most people’s idea of love doesn’t include impeccable grammar and punctuation. However, in Here to Help Learning‘s instructional videos, the lesson your child will hear is this: We, as writers, value and love our readers by writing with proper grammar and punctuation. 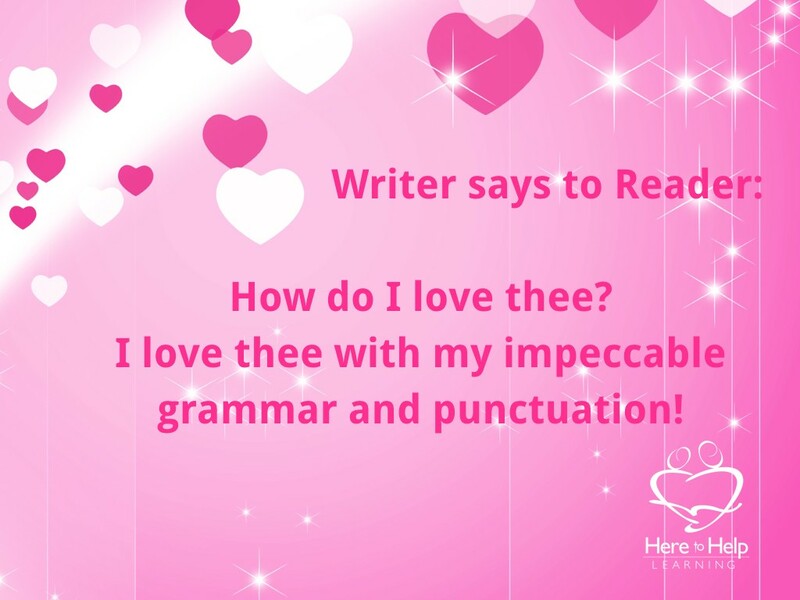 So in honor of February, the month of love, the HTHL’s Writing Tip of the Week will focus on those hard-to-spot grammar corrections. When do you use the word which, and when do you use the word that? The word which is like a bow. It’s nice to have, but you don’t need it. The phrase of words that follow the word which is not needed to understand the sentence. 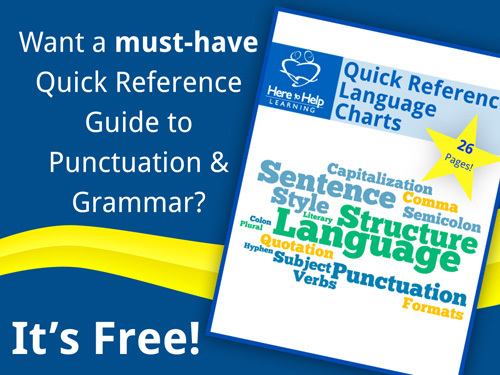 The fancy grammar term is called a non-restrictive relative clause. Example: My car which is blue goes very fast. If you remove the clause, the meaning of the sentence doesn’t change. My car goes very fast. Use the word “which’ when the word phrase that follows is not needed to understand the sentence. 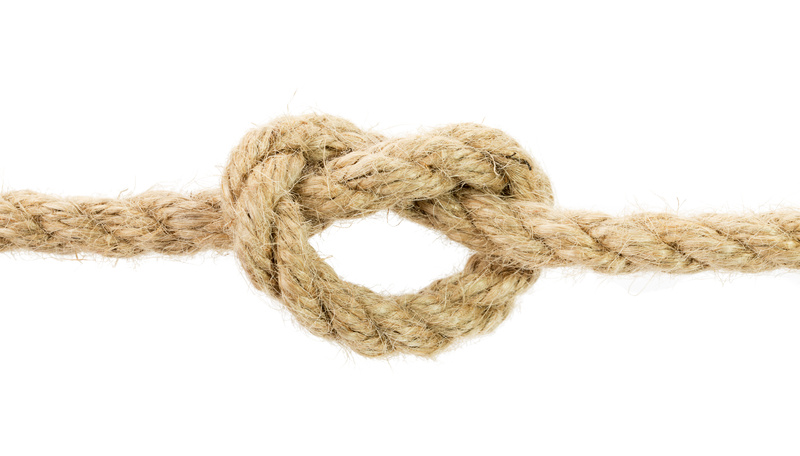 The word that is like a rope. The words in the sentence NEED to be tied together. 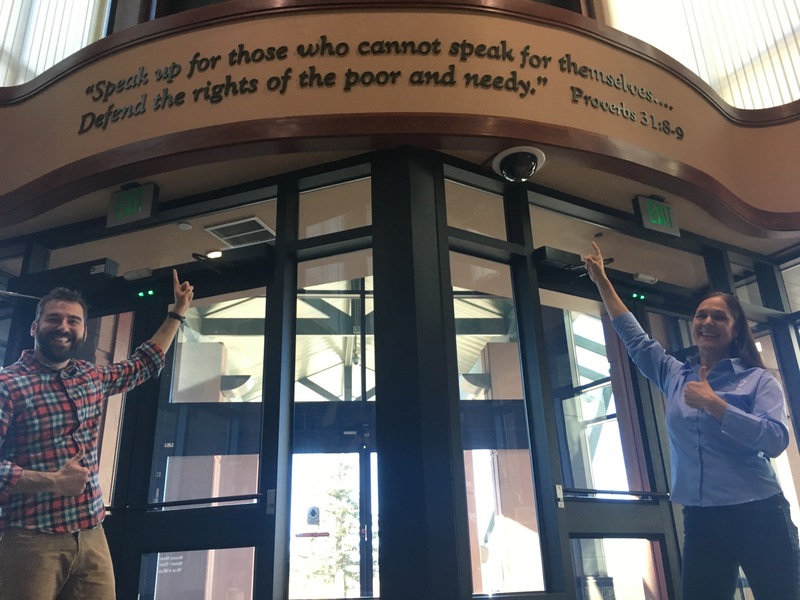 The phrase of words that follow the word that is needed to understand the sentence. The fancy grammar term is called a restrictive relative clause. If you remove the clause, the meaning of the sentence changes. Use the word “that’ when the word phrase that follows is needed to understand the sentence. When correcting your child’s paper, stop when you see the word which or that. Then ask your child if a bow or rope is needed! 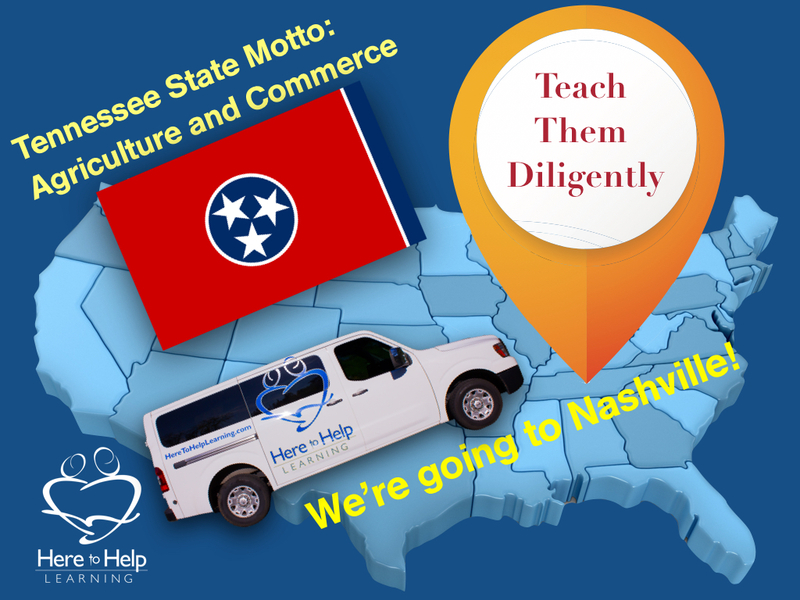 BusyGirl and I are hitting the road to attend eleven homeschool conventions. Sadly, the love of my life, my hubby Forrest, won’t be going with us this year. 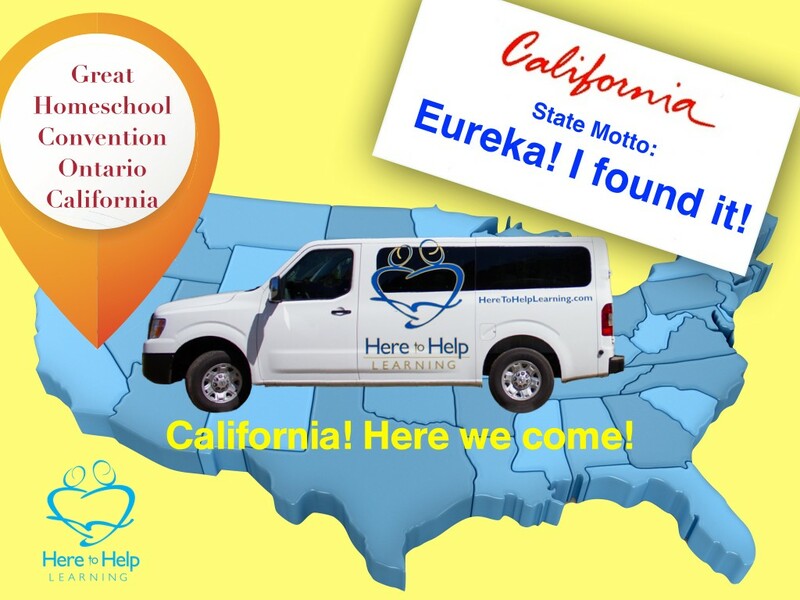 At the beginning of the year, we moved to the state of Washington. Technically, we haven’t moved in yet. We have been living with Forrest’s parents. So while I’m on the convention trail, Forrest will continue to repair our new home and re-establish his landscape business. What the Lord has in store for us is unknown, but that’s the definition of a faith adventure! 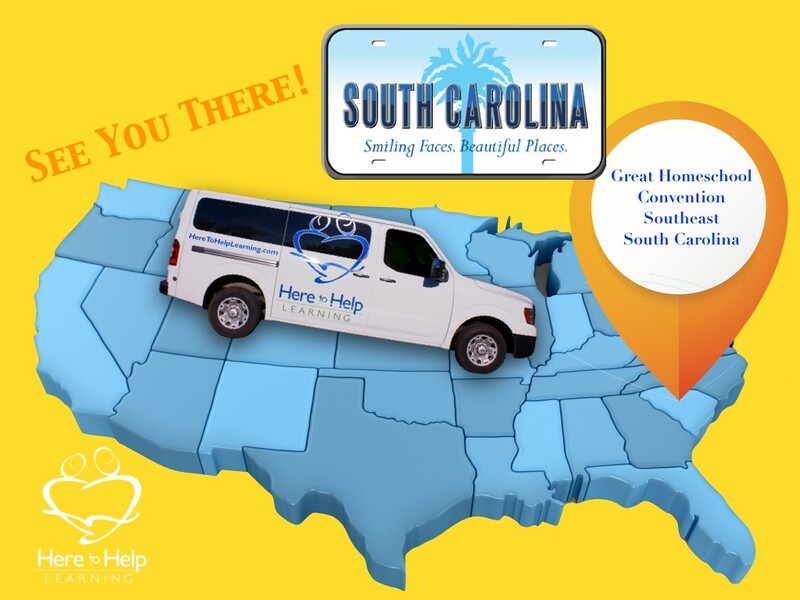 We invite you to join us as we travel! Buckle up! It’s going to be a wild ride!